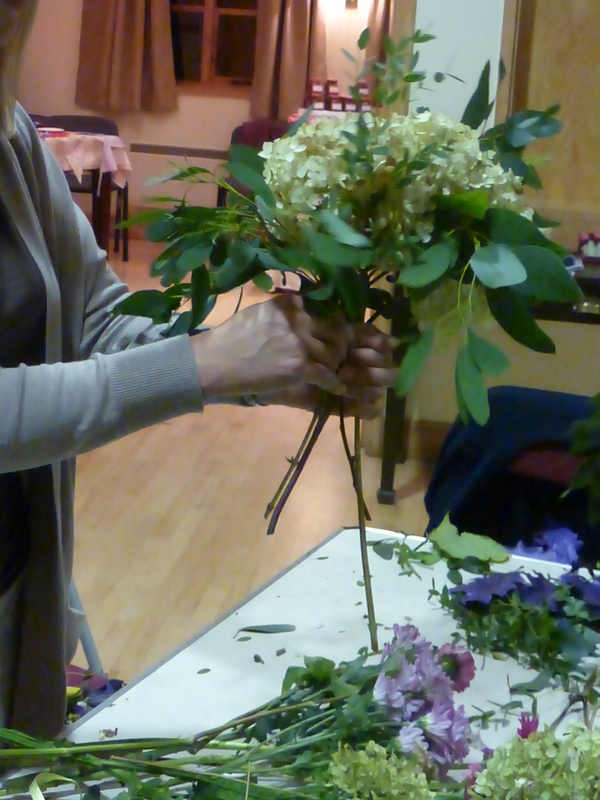 Last week I joined 55 members of Jubilee WI for a workshop on how to make a tied posy – they meet on the third Wednesday of the month at Lower Hardres, just outside Canterbury. 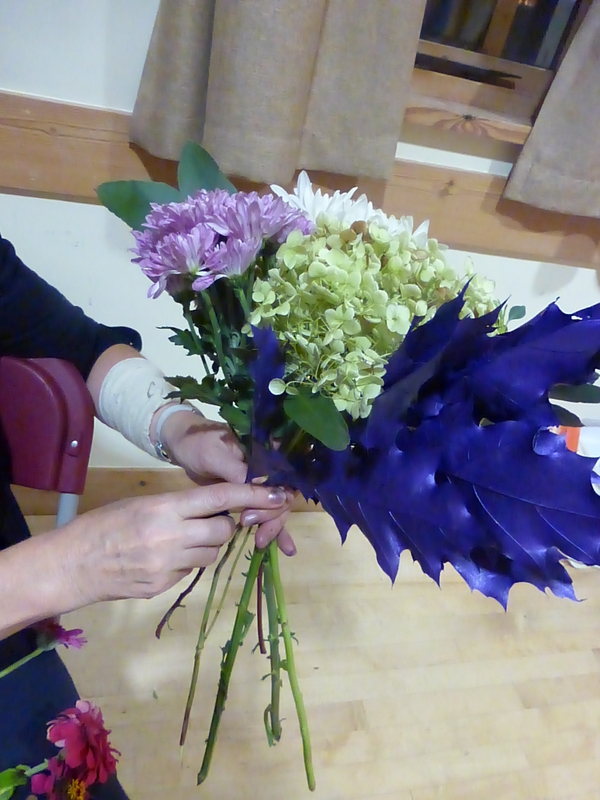 Preparation for the workshop began a few days earlier and involved sourcing and cutting 55 hydrangea heads and a selection of garden flowers and foliage. 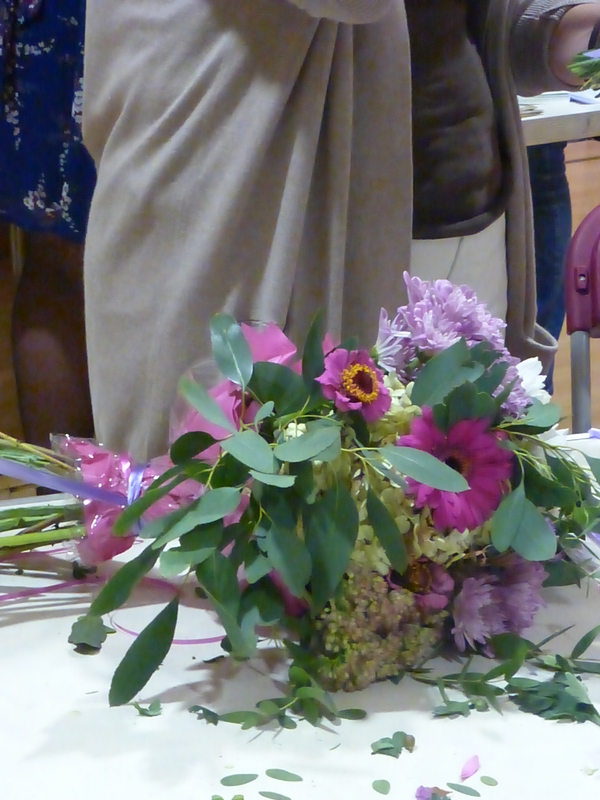 We used the hydrangea at the heart of our bouquets to give structure and support to the other stems. Starting with the greenery first we fed this through and around the hydrangea and then added the flowers, stripping off any leaves and stray blooms that would fall at, and below, the point where the bouquet would be tied together. 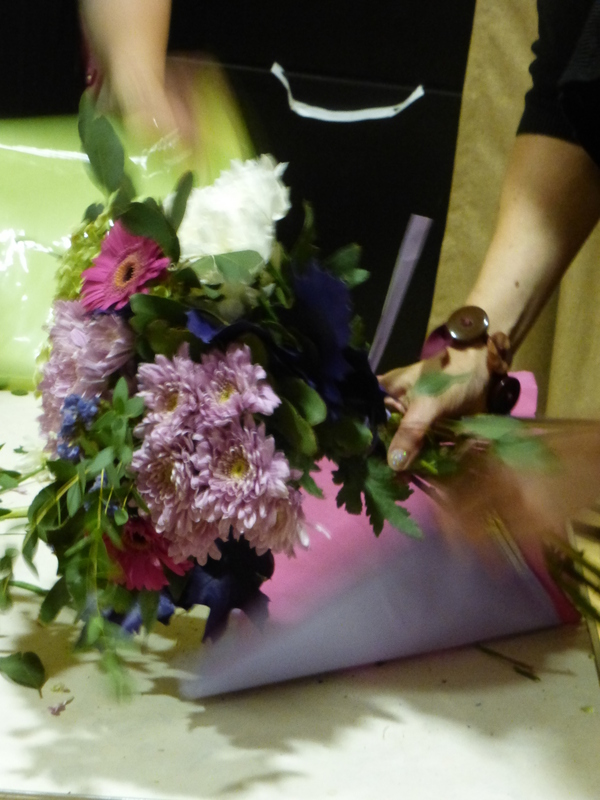 To frame and finish the bouquets we wrapped them in tissue paper and cellophane and finished them with a bow. It was lovely to see some familiar faces and to meet Tamasin of Creative Places who facilitates a huge variety of workshops at Barham village hall. 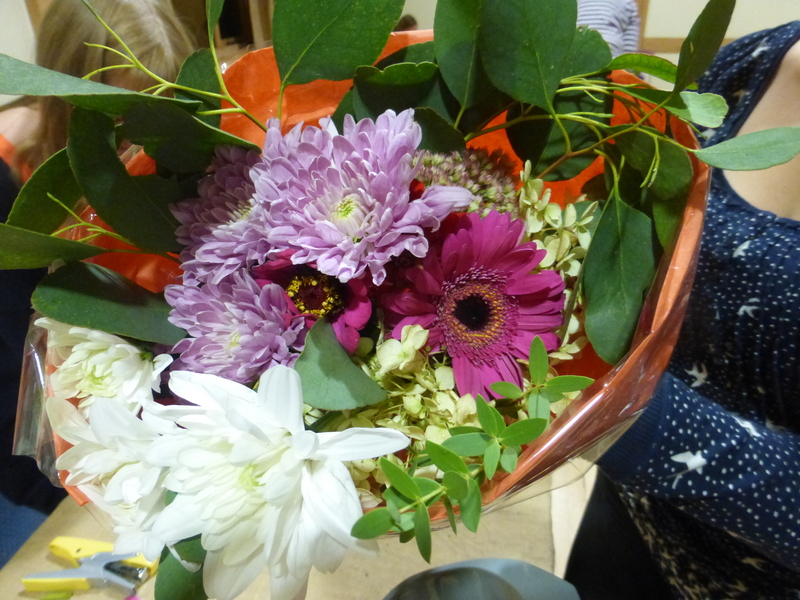 If you’d like me to come to your club night to teach a flower arranging class, please do get in touch. In the meantime, a quick reminder that my classes at Kent Adult Education start again in the next few weeks.